This week was our first full week back from break, and our launch into session 4. Eagles got into full swing with Biology, Writing WorkShop, Art, History, and of course plenty of Core Skills! We welcomed students back with a new room and studio arrangements, and everyone is loving the extra work space. This week we continued our Biology Quest, exploring cells. 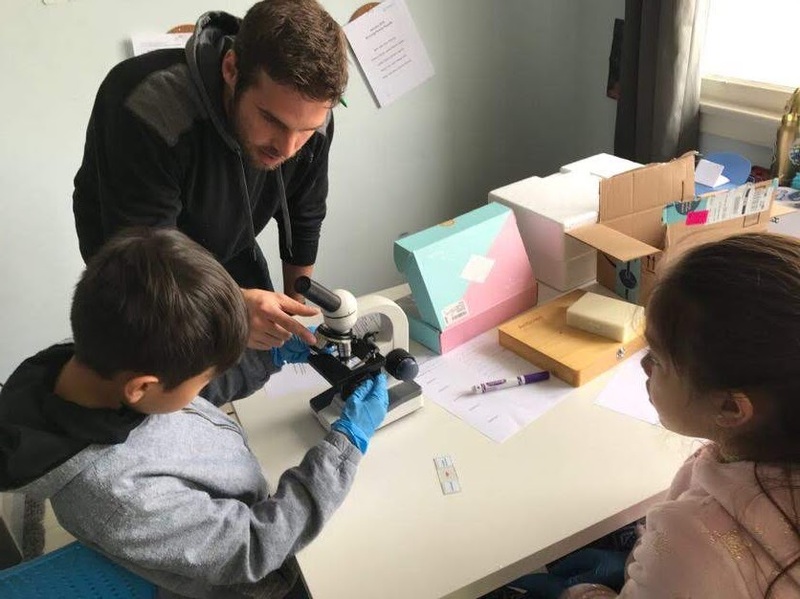 We got a new microscope and got all of our Eagles trained to use it, along with making their own sample slides using their very own cheek cells! 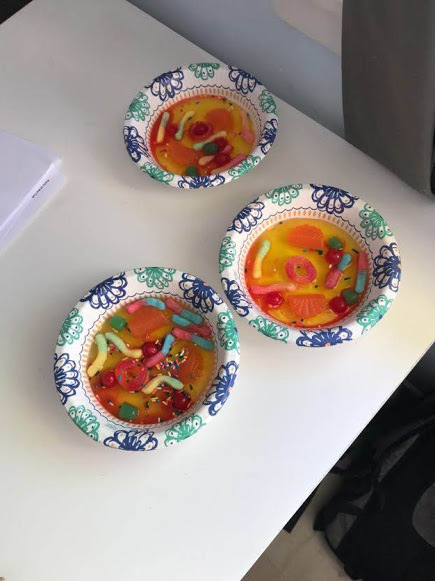 Eagles learned the different elements of the cell using jello, gummy worms, and a little bit of biology bingo! For Art this session, we launched Dramatic Arts, along with a deep dive into past art projects. Foundation will be exploring how to build characters, and collaboratively write a play that incorporates the characters they’ve designed, along with music, within a storyline that leads them through a hero’s journey on what it means to be human. The only guideline is they must choose non-human characters. Get ready for a play filled with elves, mermaids, and robots! Our older Eagles will be doing an individual social commentary performance art piece. There’s much to be anticipated in the weeks to come as everyone develops ideas and challenges creativity! This week in Writing Workshop, we continued with research papers. Foundation made their final decisions on topics, and began exploring asking the right questions. From metal working to the human skeleton, to the history of breakdancing, these papers should be exciting for Eagles to write and guides to read! Our Navigator and Launchpad students started their final projects- writing a Nobel Prize acceptance speech in the voice of a biologist they will study over the next nine weeks. We can’t wait for you to hear the speeches at our next Exhibition of Learning! For History, Launchpad Eagles started a deep dive this week into evolution by starting to read The Beak of the Finch by Jonathan Weiner. We discussed everything from why the Galapagos Islands are the perfect place to study evolution, to why we hear about Newton when we are studying Darwin. The Eagles analyzed the texts and inspired us with their ideas! 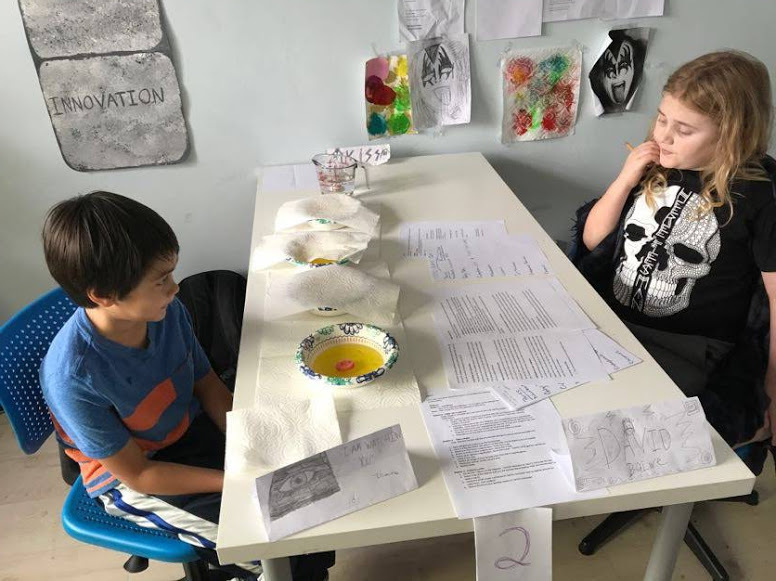 Navigator Eagles also studied Evolution this week- thinking about how keen observation, curiosity, and independent thinking lead to great research and science. Once again, we were blown away by the Eagles in our Socratic discussion! Foundation talked evolution and Darwin as well, exploring different breeds of species and beginning to observe their unique characteristics that help them survive in the wild. Each Eagle chose an animal to illustrate, highlighting the unique features they possess. Lots of creative observations! This week the guides launched Track and Field for PE. 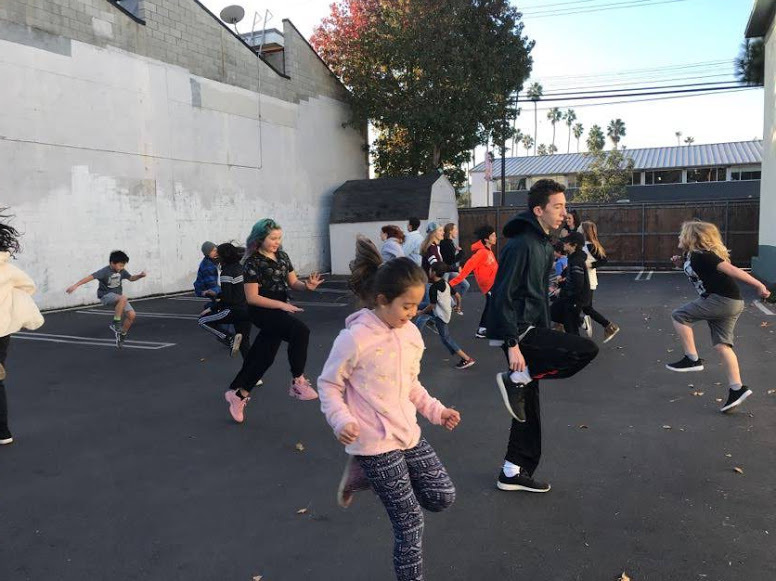 Our Eagles rallied together to learn a variety of running drills, from high knees to fairy leaps! 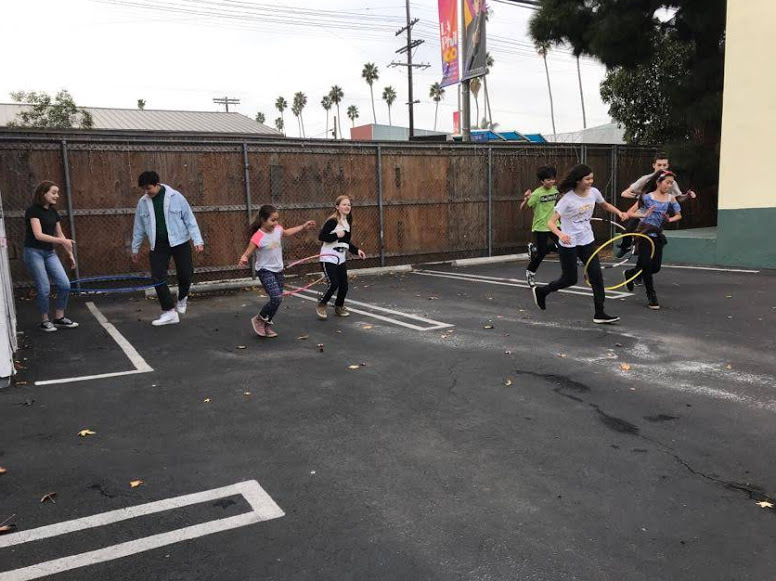 They also practiced team work in a three-legged-race with a hula hoop, and worked on our 50 meter dash event. The Eagles put in some serious effort, and their hard work showed the next day with some sore legs! Students were all given the opportunity to pitch a new sport for the following week, so we are excited to hear what they come up with! We had our first town hall meeting of the new year on Monday. The Eagles discussed things like use of the new Exploratorium meeting room, who is cleaning up the new room at the end of the day, and a new way to pick our free time games. After many games of mushroom ball, some were looking to switch things up and try something new. A new process was established, where each week a new game will be presented during our weekly launch meeting, and everyone will vote on the game to play for the week. We were very impressed by the initiative taken by some of the Eagles to begin this discussion, engage with their peers, and find a creative solution. All in all, this was a great full week back in the studios, diving headfirst into learning and curiosity. There’s much to be excited about as these projects unfold, and Eagles push themselves to grow and explore!